This was the first project we were tasked with in our Modeling II class in Champlain College to test our sculpting know-how. 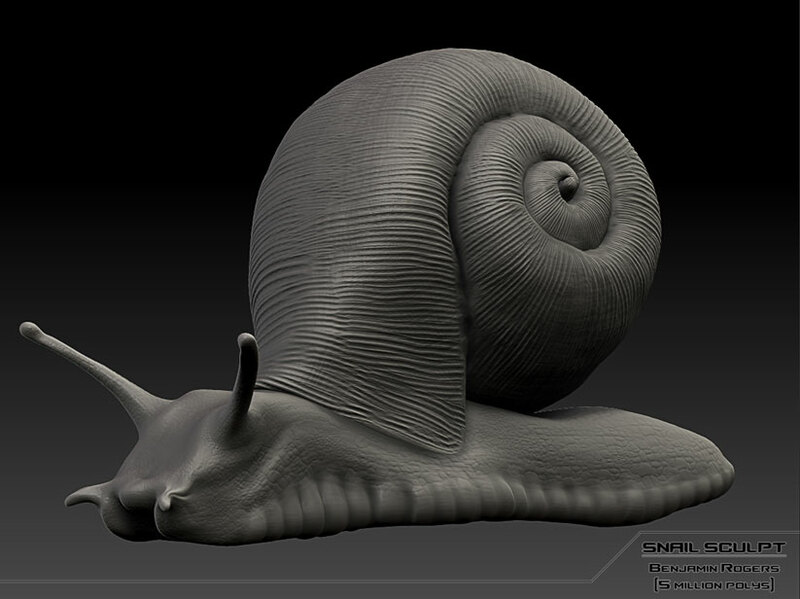 We were assigned to create a Snail, which has pretty simple yet distinct primary, secondary and tertiary forms. What make the project a good starter piece was the contrast of the body and the shell, which were both soft and hard surfaces respectively. 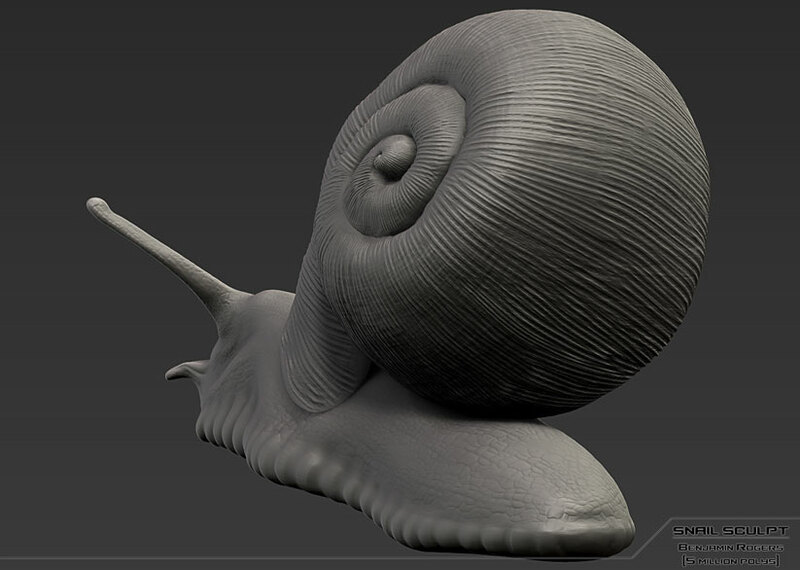 The task of making cohesiveness between the squishy, slimy skin of the snail and the hard ridged edges of the shell was particularly interesting. 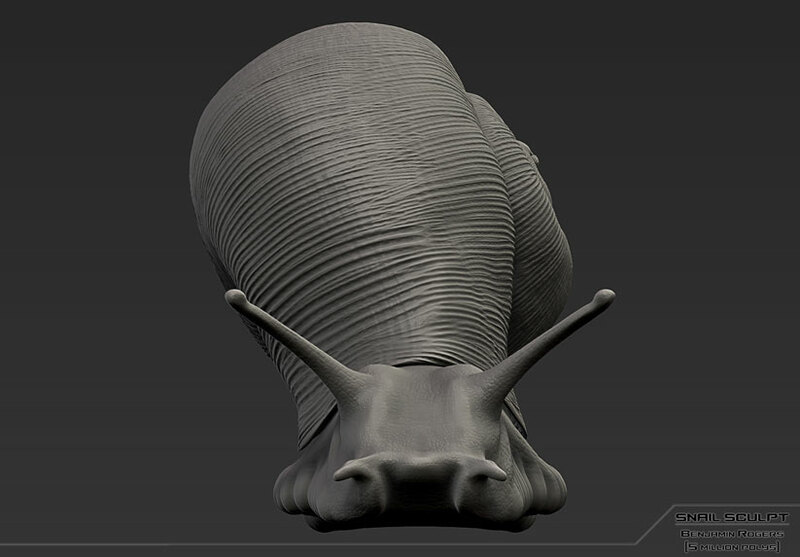 I used clay tubes for most of the body and the shell until they were at adequate subdivisions and used the pinch brushes to really get the small feeler legs closer together and the mouth feelers to feel more natural. The alpha for the skin is a custom one I edited and had mixed in some alpha blur to make hard edges less prominent on the body surface. 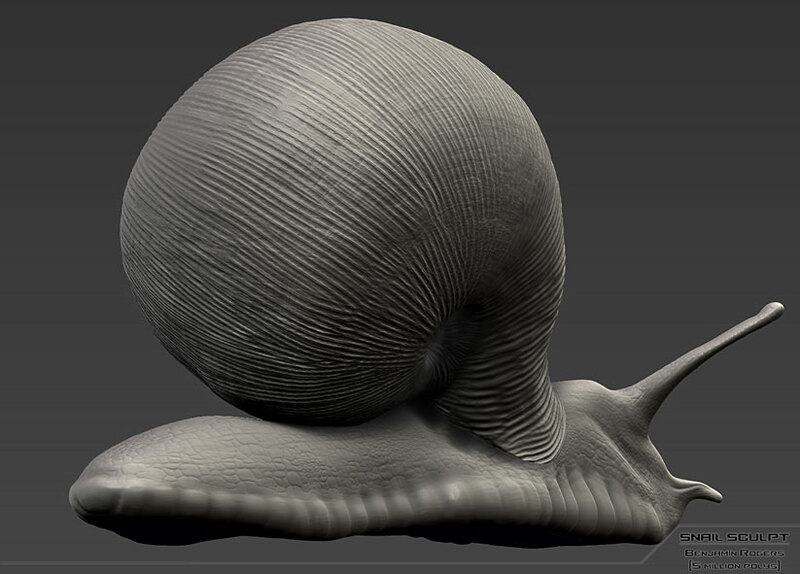 The shell is ran over with a rake brush in order to emulate the ridges and a smaller one is used as soon as it goes into the helix. 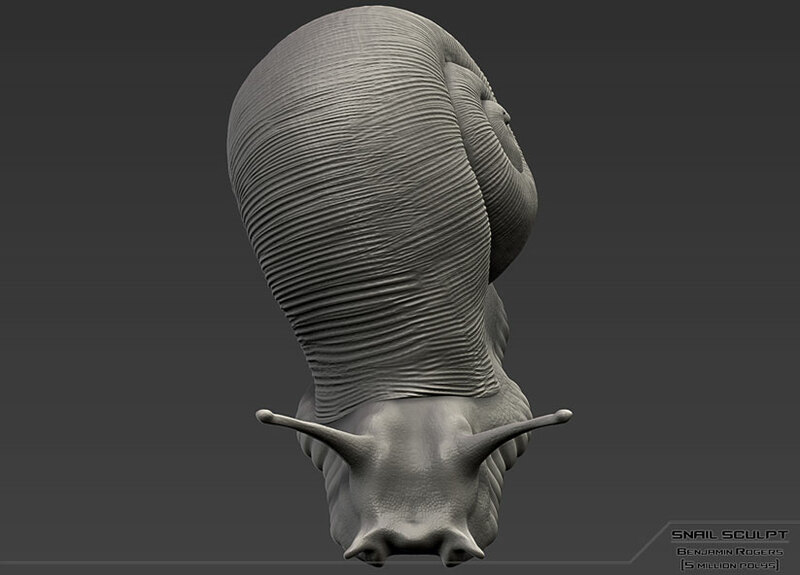 The low poly needs some more retopologizing but will be posted soon!